If you or a loved one face criminal charges, you need someone on your side. Stranahan, Stranahan & Cline is committed to helping you. 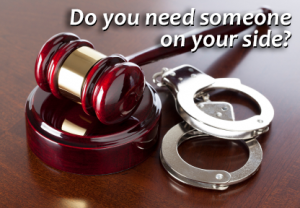 If you are the one charged with a crime, contact us for a free initial consultation. We will explain every aspect of your case to you so you clearly understand the charges against you. If its your friend or loved one who has been charged, and they have been taken to jail, our attorneys will be at the jail by his or her side within 24 hours of being formally retained. Often we are able to resolve our clients’ cases very quickly at the preliminary hearing stage. Having an experienced, aggressive lawyer is particularly important in a criminal case, where your liberty is at stake. Each criminal case requires a unique approach.Stranahan, Stranahan & Cline methodically investigates, researches, and prepares each case, then applies the instinct and sense of timing that comes only with experience. We are result-oriented, and fight to win. We have vast experience in nearly all magisterial courts and common pleas courts in Western Pennsylvania, as well as appellate court practice in the Superior Commonwealth and Supreme Courts. We currently use two experienced private investigators to assist in cases that require investigation. Attorneys Jack W. Cline and Gregory D. Metrick handle the criminal cases in our office. Please click on their individual attorney profiles for more information.